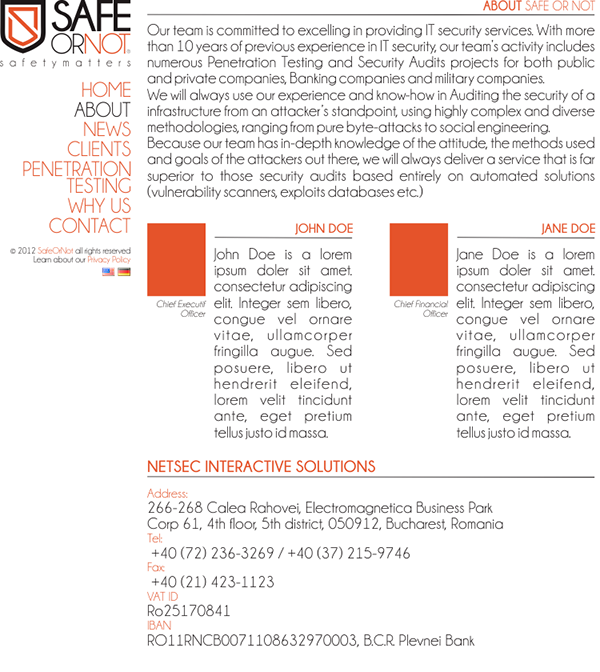 Safe or Not is a team committed to excelling in providing IT security services. 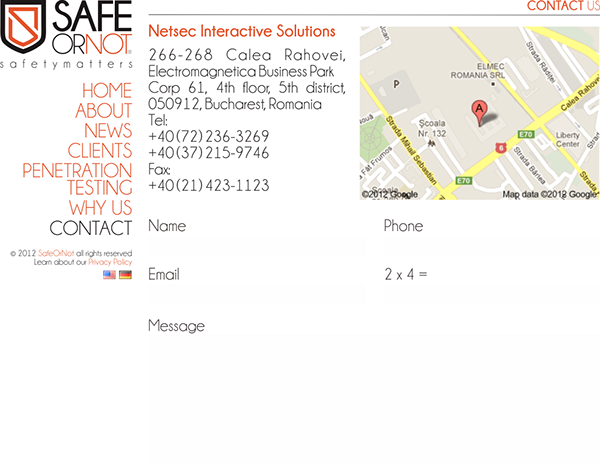 Part of Netsec Interactive solution based in Bucharest, Romania. 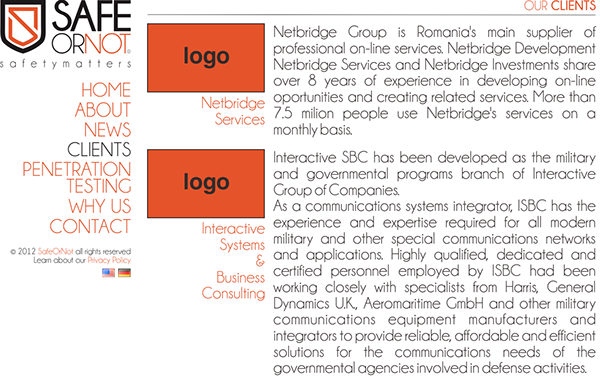 With more than 10 years of previous experience in IT security, their team activity includes numerous Penetration Testing and Security Audits projects for both public and private companies.